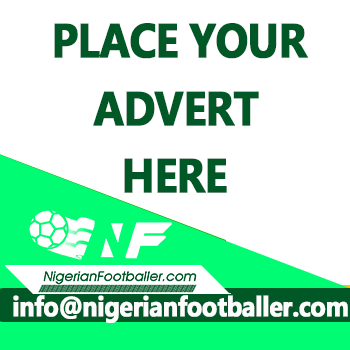 The clamour for the return of Lille shot stopper, Vincent Enyeama may wait a while as the national team gaffer, Gernor Rohr is yet to make a decision on him. 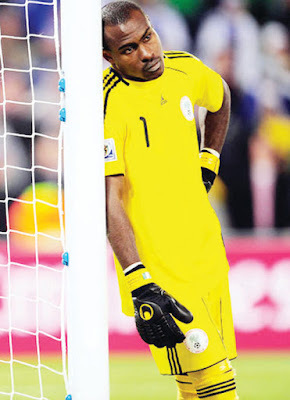 Ever since Enyeama quit the national team unceremoniously after a spat with former coach, Sunday Oliseh, Nigerians have cried out for his return but it seems the German is yet to decide on that. A few days before the AFCON Qualifier against Tanzania, Rohr told a packed press conference that he would speak to Enyeama after the game. 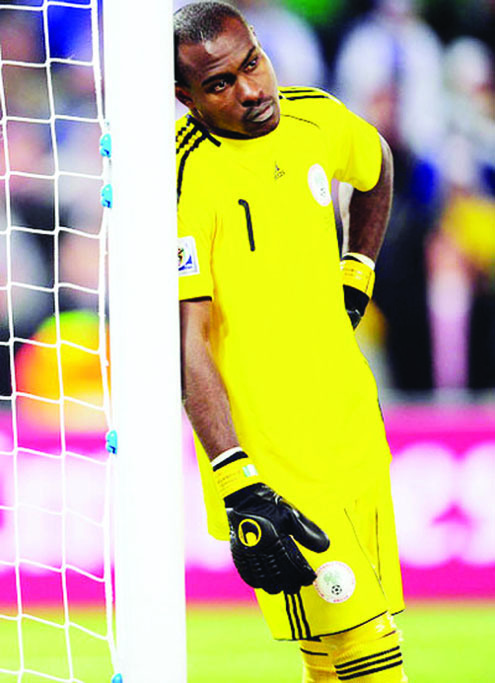 Two weeks after the game against Tanzania and with Nigerians expecting Enyeama in the team to face Zambia, it seems the coach is yet to make up his mind. A person who should know told Naijafootball247.com that there is nothing new on the Vincent Enyeama situation and the coach spent the last weekend looking at the performances of Nigerian players in Europe. Naijafootball247.com also understands that opinion on Enyeama’s return to the team is divided at the moment and it may be down to the coach, Rohr to make a final decision. There is a big debate on if Nigeria still needs him as he announced his retirement and Carl Ikeme has fit in near perfectly into the team. as regards invitation of other players to the team, it seems like Alex Iwobi may make a return for the game against Zambia having come back from a spell out injured. Brown Ideye’s hattrick against Veria FC in Greece and goals by Kelechi Iheanacho and Odion Ighalo will also be a boost as the Super Eagles have not been high scoring in the last couple of years. It is expected that the team to play Zambia in the World Cup Qualifiers will be named within two weeks.